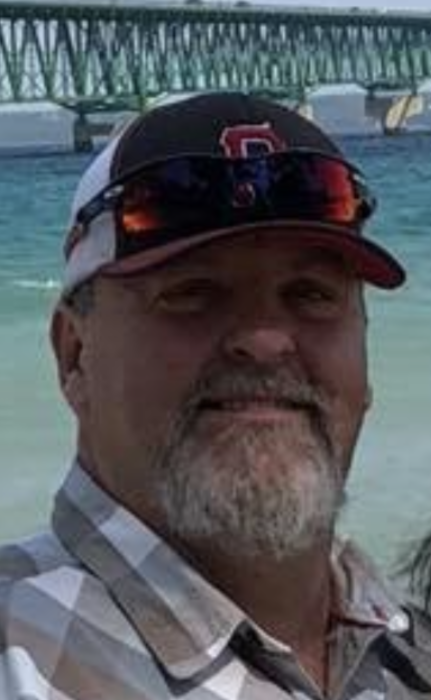 Michael Christopher Jones, 56, of Paw Paw, passed away suddenly on Wednesday December 5, 2018. He was born October 24, 1962 in Paw Paw, the son of the late William Jones and Myrna (Germaine) Jones . Mike was Vice President of Forman Glass. He Enjoyed hunting, weightlifting and sports in general. He loved his Harley and although he was a man of few words, he was very involved in the Paw Paw community and his family. On September 17, 1988, at Saint Mary Church in Paw Paw, Mike was united in marriage to Kimberly Vargas who survives. He is also survived by his son, Derek (Jennifer ) Jones, daughter, Brianna (Lorne Rendell ) Jones; Four Brothers, David Jones, Brian (Jon ) Jones, Randy Jones, Vern Filipuans along with Three Grandchildren, Grey Jones, Stevie Jo Jones and Harper Rendell. The family will receive friends on Monday, December 10, 2018 beginning at 4:00 p.m. until 8:00 p.m. at the Adams Funeral Home, 502 West Michigan Ave, Paw Paw. Mass of Christian burial will follow on Tuesday at 11:00 a.m. at Saint Mary Catholic Church, Paw Paw, with Fr. Joseph Xavier officiating. Mike will be laid to rest at Saint Mary Cemetery.